The Honda Ridgeline is not your average pickup truck. It matches the toughness of its rivals while giving you vastly superior comfort and driveability. 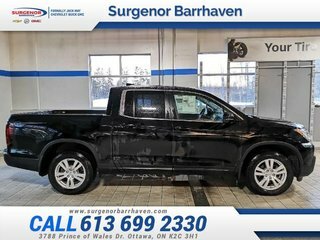 This 2018 Honda Ridgeline is for sale today in Ottawa. Honda threw out the rulebook with the latest version of the Ridgeline and made a totally unconventional pickup truck. 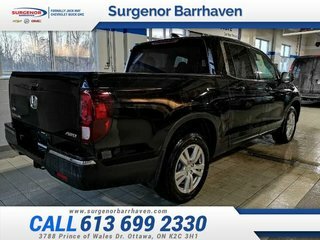 It has all the utility of a pickup combined with car-like ride quality. 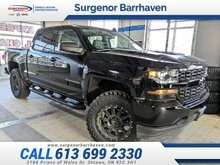 Its unique unibody design gives it excellent road manners and a smooth ride while maintaining the hard-working functionality of a truck. There's never been a pickup that's easier to drive, packed with quirks, versatility, and character making the 2018 Honda Ridgeline one of a kind. 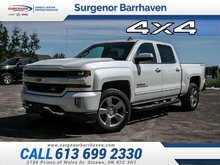 This low mileage crew cab 4X4 pickup has just 10864 kms. It's black in colour. It has an automatic transmission and is powered by a 3.5L V6 24V GDI SOHC engine. This vehicle has been upgraded with the following features: Bluetooth. It has some remaining factory warranty for added peace of mind. Our Ridgeline's trim level is LX. 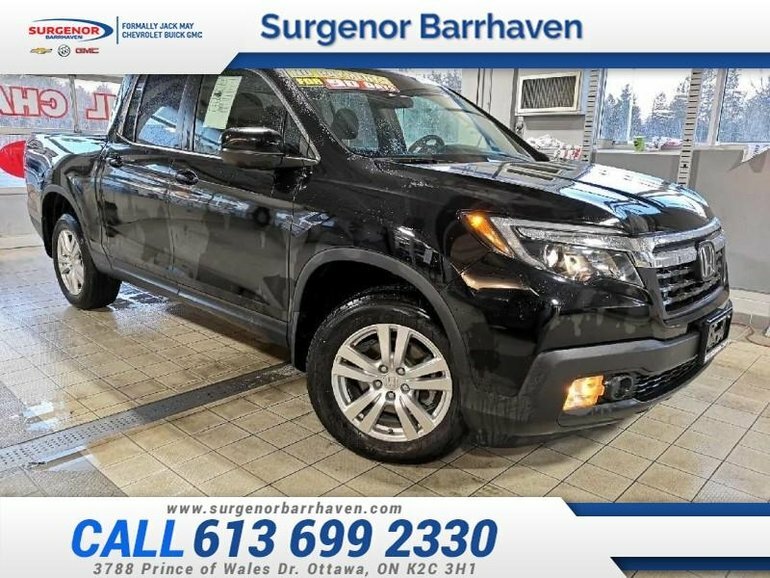 This Ridgeline LX is an outstanding value. 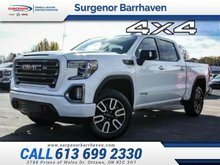 It comes with all wheel drive, aluminum wheels, an in-bed trunk and dual action tailgate, heated front seats, remote start, a rear view camera, a display audio system with Bluetooth and 7 speaker audio, 2 USB ports, forward collision warning, adaptive cruise control, and much more. 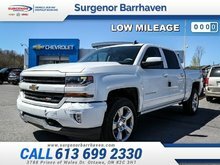 Buy this vehicle now for the lowest bi-weekly payment of $247.17 with $0 down for 84 months @ 6.99% APR O.A.C. ( Plus applicable taxes - Plus applicable fees ). See dealer for details. 3.5L V6 24V GDI SOHC - 6 cyl. Interested in the 2018 Honda Ridgeline LX - Bluetooth - $247.17 B/W ? $50,995 * Plus HST and licensing. Freight & Fees Included. $61,485 * Plus HST and licensing. Freight & Fees Included.